Before I start today’s post, I should add a couple of thoughts to yesterday’s column about similarities between the current Blackhawk team and the 1961 Cup winners. Like the current version, the ’61 Hawk team was an offensively talented bunch. The Kane/Toews and Hull/Mikita comparisons aside, both teams could and can score. With Quennville now behind the bench, there is a defensive accountability, too, in Chicago that I don’t honestly know was or wasn’t in place with Rudy Pilous behind the bench in ’61. (I do know that the Hawks didn’t give up a lot of goals in the playoffs that spring). I remember Pilous as a far more colorful coach, for sure, than Quennville but was still fired within a couple of years of his Cup success. Pilous was replaced by Billy Reay, the ex-Montreal forward. Reay was a fine coach with the Hawks for more than a decade. He brought the Hawks to the finals three times, only to lose to the Habs each time. Many observers of the day believed the Hawks should have, without question, won more Cups in the 1960s with their talent, but Montreal and Toronto nonetheless won every year that decade- other than ’61. The other most obvious similarity is that the Hawks, in the ‘50s, had also fallen into disrepair before rising to the top. As Dale Tallon re-shaped the modern edition with young stars and some solid veterans, in the late ‘50s the Hawks used their junior team in St. Catharines as their development team and brought in Hull, Mikita, and many others who made the Hawks a great team throughout the ‘60s. Like Tallon, management brought in veterans who knew how to win, like Dollard St. Laurent and Ab McDonald. The current Hawk franchise was also, as we all know, in disarray for many years from maybe the mid-latter ‘90s onward. Despite being an “Original Six” team, attendance again had fallen off the map, even with a new building. But the once-proud franchise was re-vamped by new ownership and Tallon’s insightful draft selections and shrewd personnel moves. They are now, like the ’61 team, poised for a championship. Which leads me to a recollection about a year they absolutely should have won the Cup. It’s difficult to describe just how much I disliked the Montreal Canadiens in the 1960’s and 70s. Those of you who have followed earlier articles on this site will know my personal history. Suffice to say, whether it was envy, some kind of rebellion against my Dad and French heritage or just being a contrary kid in a family full of Hab supporters, the antipathy I felt toward the Canadiens was very real, very deep and it grew with every Cup victory -- which happened a lot in my formative years. Not all Leaf fans necessarily cheered against Montreal in those days, but I certainly didn’t know many Leaf supporters who were Montreal sympathizers where I lived, in southwestern Ontario. I could not show my “hatred” (I use the term in the sports sense only) at home, for obvious reasons. But my close friends knew how I felt. All this said, I think I always respected, even as a young man, just how good a team the Habs generally were. As an adult, with a bit less emotion and a bit more wisdom, I developed an even deeper regard for what those great Montreal teams accomplished. How could you not have the highest regard, sporting-wise, for individuals like the Rocket, Beliveau, Cournoyer and so many others such as Lapointe, Robinson, Savard and Lafleur in later years. But that didn’t stop me from cheering against them, from day one of every NHL season to their last game. One of my fondest sports memories is of the year (1969-'70) that Montreal actually missed the playoffs, but I'll write about that another time. 1970-‘71 was the season the Bruins were supposed to repeat as Stanley Cup champions. Their goaltending was ordinary (at least in my mind) but otherwise they were absolutely loaded, starting of course with Bobby Orr and Phil Esposito as the superstars, youngsters like Derek Sanderson and grizzled vets like Eddie Westfall and Ted Green. But Montreal upset the Bruins in seven games that spring, a stunning upset which brought Ken Dryden to the forefront of the hockey world. Dryden, from the Toronto area, was a bright guy, a future law student, who did his undergrad studies while playing hockey at Cornell. Dryden had some rough outings that first series, but McNeil stayed with him and he shut down the Bruins in Game 6 and 7. Chicago still had Mikita and Hull in their prime along with Pit Martin and Dennis Hull, some solid young grinders and a strong defense led by Pat Stapleton and Bill White. Chicago took the first two games at home, and some observers spoke of a four-game sweep. But Montreal was a strong team, with Beliveau leading the way in what turned out to be his final season. Henri Richard and Jacque Lemaire were prominent, as was ex-Maple Leaf winger Frank Mahovlich, who General Manager Sam Pollock traded for from Detroit earlier that season. They also had Jacques Laperriere and J.C. Tremblay, superb defensemen both, Terry Harper and a host of strong two-way players. That said, the Hawks were the prohibitive favorites, particularly with a two-game lead and Montreal relying on a rookie goalie. The Habs won Games 3 and 4, but Chicago triumphed in Game 5. Again the odds were stacked against Montreal. Game 6 in Montreal at the Forum was close, but the Canadiens prevailed, setting up the deciding Game 7 back at a raucous Chicago Stadium- by far the loudest building in hockey in the ‘60s and ‘70s. I have described in earlier posts that my father and I could not really watch any Montreal-Toronto playoff games in the same room in the ‘60s. It was just not possible, as there was too much tension, though unspoken. On this night in 1971, I watched most of the first half of the game (Game 7) alone. I was rooting hard for Chicago, of course. They jumped out to a 2-0 lead. I remember one of the goals was scored by Danny O’Shea and I’m trying to recall who got the other. All I know is, I was taking nothing for granted. Chicago was playing hard, and were, in my mind, outplaying the Canadiens. They weren’t sitting back, in fact they kept coming hard. Then came two pivotal turning points: one happened on the ice, the other happened in our family's TV room. Dad had eventually joined me there to watch the game (he had been listening on his small radio in his bedroom on the french-language local outlet). It hit the crossbar. And bounced out. I had a sinking feeling. A 3-0 lead is one thing. A 2-0 lead, even at home, is never safe. At this precise moment, my Dad uttered the words that I just knew would stay with me forever. As if bracing himself publicly for defeat, he said quietly, “Well, at least they (Montreal) have nothing to be ashamed of”. He rarely spoke that way of the Canadiens, and I knew, deep down, he didn’t feel the game was over, either. But as soon as he said that, I knew the game was in fact over. And so it was. A few second later, Jacques Lemaire came across the center ice red line and fired a high slap shot. It was like a thousand other long-range shots that hockey players take, when they have no apparent other play to make. Nine-hundred and ninety-nine times out of a thousand, the goalie makes the easy save. 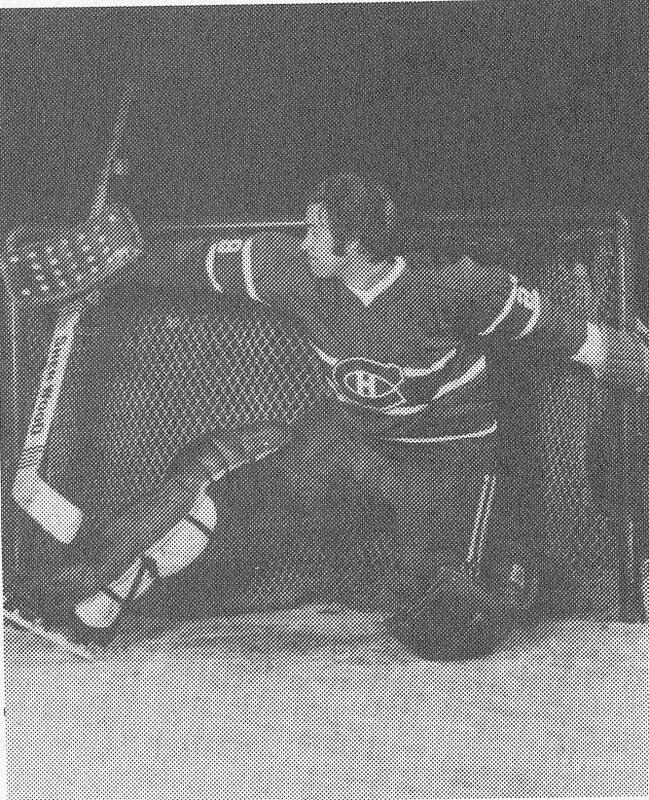 This time, against the best goalie in the league, Tony Esposito, Lemaire’s shot went in. To this day, I have no idea what happened. There was talk in later years that Esposito didn’t see things clearly from long range, that he often had trouble locating long shots. Maybe it was that. Maybe it was the haze hanging over a smoke-filled arena. It was really warm and apparently hazy in the building, because it well into May, with over 20,000 people jammed in. Whatever, the building fell silent. I felt sick. Within minutes, Henri Richard picked up a puck that took a ridiculously favorable (for Montreal) bounce off the end boards behind the Chicago net. It bounced right out to him as he was cruising by the front of the Chicago net, and he deposited it past Esposito. Mid-way or so through the third, Henri Richard took a long pass and cut around and then behind the fine young Chicago defenseman, Keith Magnuson. Richard was flying, and as he cut in front of Esposito, he wristed a shot that caught the back of the net. It turned out to be the winning goal. 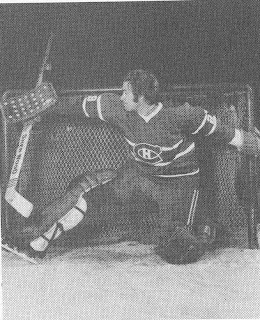 I recall that Jim Pappin had a great chance to score from the side of the net, but Dryden kicked out his leg to make the save. (It was a good save, but not as good, I thought, as it was made out to be. Regardless, that save helped cement Dryden’s growing legend.) Mikita sent Eric Nesterenko in on a break but Chicago just couldn’t tie it up. What an awful feeling. Montreal had done it again. It was bad enough witnessing them win when they were the best team and favored to do so. This was somehow even worse, them doing it when they should never have even gotten that far. I had indeed paid for my sin of the previous (1969-70) NHL season, when I derived far too much pleasure because Montreal failed to make the playoffs for the first time in my lifetime. They paid me back, big-time. Enjoyed reading this article as it brought back fond memories of the '71 Cup. However, I beg to differ with your description of Dryden's save on Jim Pappin. As I recall, Pappin was at the crease to Dryden's right with an empty net in front of him and already had his arms raised up in celebration of what he thought was a goal. To me, that made it a great save, not just a good save. For many years after that, I used to refer to Dryden on that play as the the three-legged goalie. Of course, at that time, I was a huge Montreal fan so my thoughts may have been somewhat biased! Dennis Hull scored the other goal for Chicago. What eim7 said is accurate. Pappin started to celebrate that it was going in, and then Ken's right pad just stoned 'em. Here's what Pappin had to say, "Everybody remembers the save. I scored a goal from the exact same position in the first game of that series in overtime. I think Ken was affraid that it would happen again and more prepared then everybody thought." Talk to any Blackhawk player or fan from that era ... we have NEVER forgotten this game. It haunts me day after day, and no Cup wins in 2010, 2013 or any future ones will make up for it. The Canadiens were like the Yankees --- year after year after year after year. I, too, savored the 1970 10-2 'Hawk victory oh-too-well. I could not have written any better than this article. Oh, how I wish I could get into a Time Machine and fix this. Thanks Anon- the memory still stings!